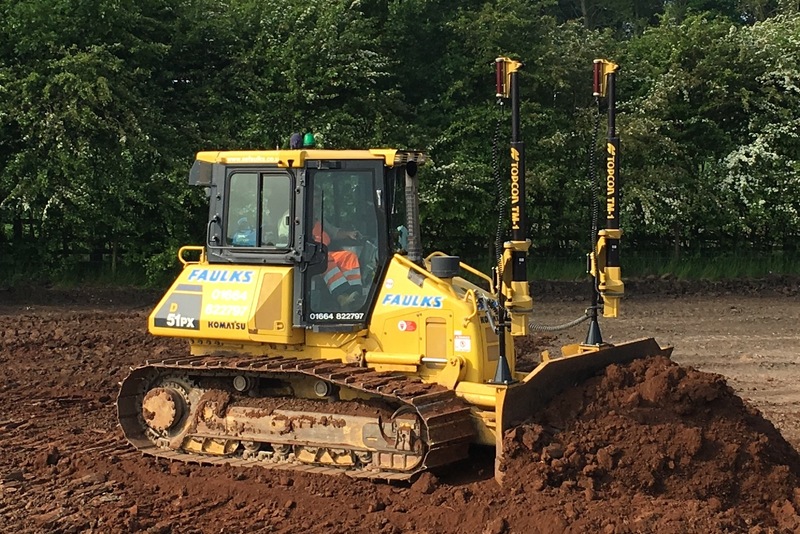 AE Faulks Ltd offer a wide array of tacked excavators for plant hire in Derby – either provided with an operator or on self-drive hire. Our range starts at 8t and continues through to 25t. Our size variations allow you to choose a unit that is tailored to your individual needs. For example, our smallest 8t tracked excavator is fantastic for use in confined worksites, as it’s compact, reliable and boasts incredible breakout force. At the other end of our range, we have the 25t tracked excavator, which provides you with high lifting, good stability on uneven surfaces, excellent breakout force and has amazing fuel economy. Please view our tracked excavators for further information regarding our services. For manoeuvrability and flexibility why not choose our wheeled excavators we have available for hire on an operated or self-drive basis? These Rubber Ducks come in sizes from 10t to 19t. These excavators are incredibly robust machines that are highly praised by all who have hired these machines in the past, excelling in performance, productivity and reliability. 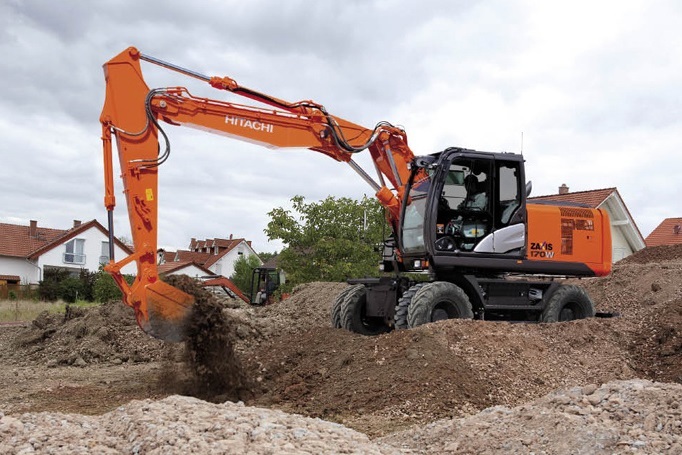 The larger wheeled excavators are fitted with stabilisers and blade for extra stability when working on uneven surfaces or lifting heavy loads. 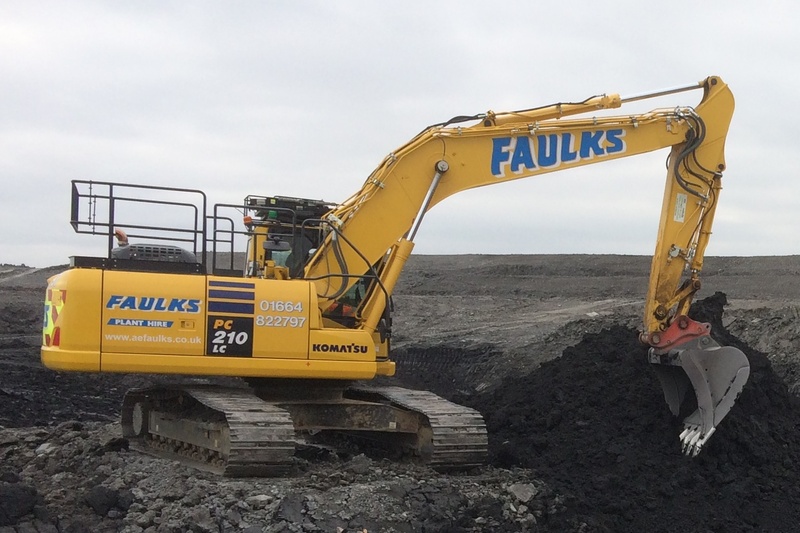 For both reliable and durable dozers, AE Faulks Ltd has the best to offer you. The Komatsu D51PX LGP is brilliant for all of your shaping and trimming needs. This dozer comes with the added benefit of being able to be fitted with either 2D or 3D automatic levelling equipment for two dimensional and more complex three dimensional grade work. For more demanding workloads we can provide the Komatsu D61PX LGP, which matches up to everything the Komatsu D51PX LGP has but with more power. This dozer is excellent for tough and varied working conditions. Its low ground pressure undercarriage, increased track contact area and reduced ground pressure makes it possible for this dozer to operate effortlessly on soft ground. Both dozers come fitted with a 6-way blade for advanced shaping and trimming applications. See our dozers page for further information. The Volvo A25 is a highly reliable articulated dumptruck that works efficiently even in extreme working conditions. Boasting a 24t payload capacity the Volvo A25 is capable of travel speeds of up to 53 km/h. 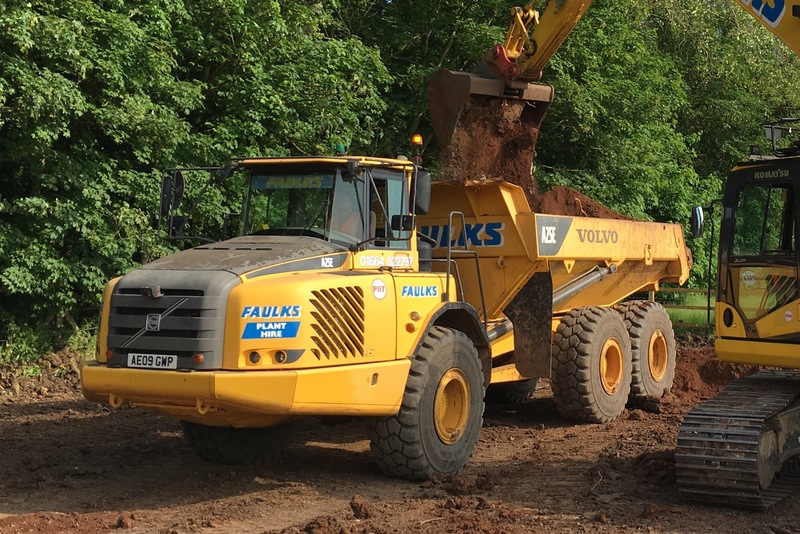 This is your ideal haulage partner that can quickly and effectively move soils and aggregates around site. 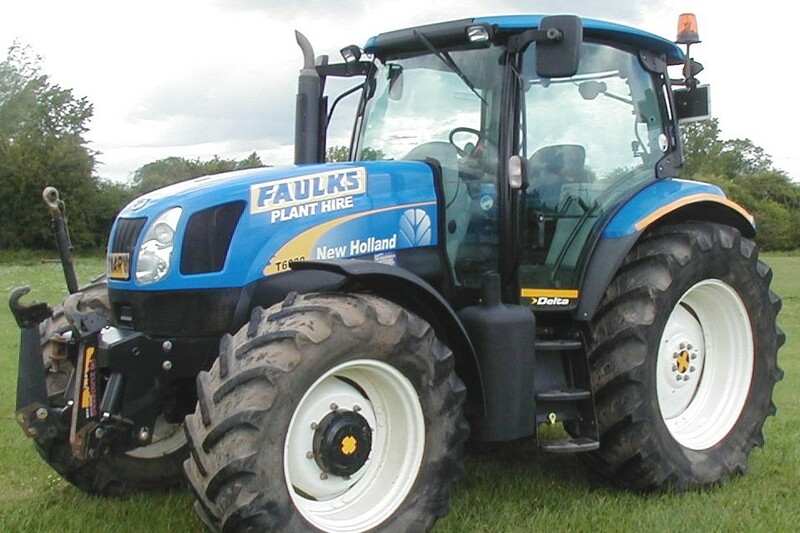 We currently have two New Holland agricultural tractor models for you to choose from. The New Holland T6.160 is the smallest of the two, providing you with high maneuverability and a fantastic power to weight ratio; perfect for any work you may have that requires high torque. Our largest tractor, the New Holland T7.185, provides incredible torque for heavy machinery usage. Both agricultural tractors are road legal and can be provided with a wide array of towed or mounted attachments, such as dust suppression bowser and vacuum tanker hire, for a variety of site uses you may have. 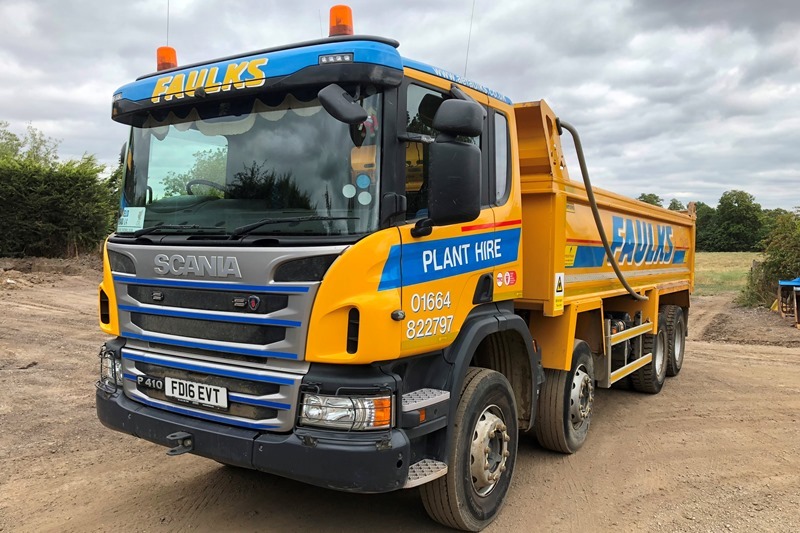 Offering a fleet of modern tipper lorries on load or hourly basis, our haulage vehicles are built to transport excavation and demolition material including inert soils, aggregates, demolition waste, non-hazardous and hazardous solid waste. Contact us today on 01664 822 797 (option 3) for more information or request a quote online. 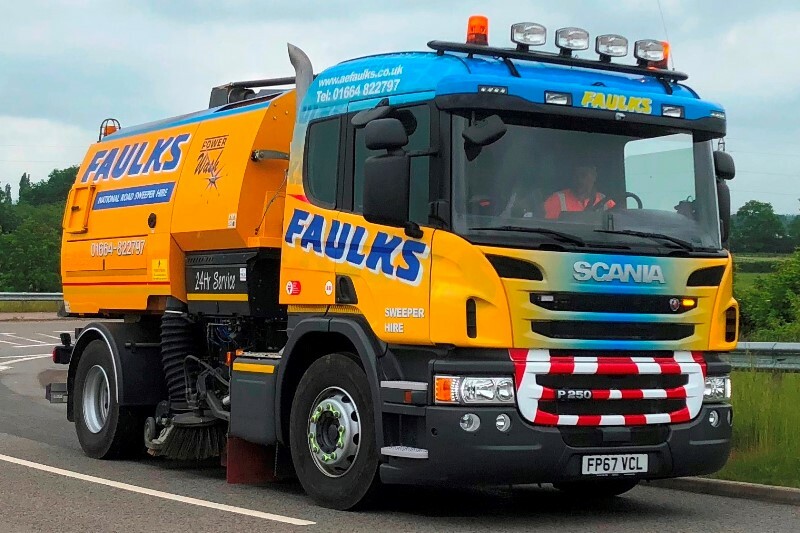 Our fleet of modern Johnston truck mounted road sweepers are fitted with the latest safety features including 360 degree birds-eye view cameras and white noise reverse alarms. Read more about our service here, request an online quote or speak to one of our experts over the phone on 01664 822 797 (option 2) for more information. If you have any questions regarding our plant hire availability in Derby, please contact us now. Or alternatively, if you’re interested in hiring from us today, don’t hesitate to fill in our quick and simple form for an online quotation.